After just a week off of the release of their second collaborative group project, Annuit Coeptis, I tapped in with the Cov Gov team to talk about the response from their new album, their goals for the new year, and how they each feel about working in a group dynamic. 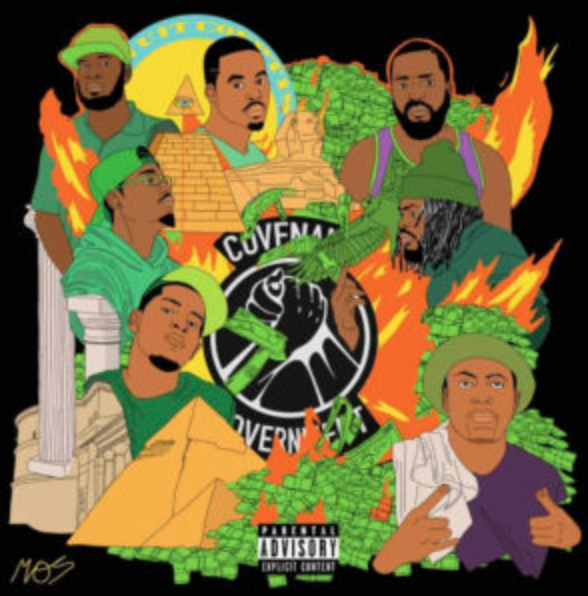 The Album, Annuit Coeptis — Latin for “Providence favors our undertakings” — is another spiritual and social honest piece from Cov Gov proving their versatile and vital approach to rap about the topics that often get lost in translation. Now with that being said, what was the inspiration behind making the, Annuit Coeptis, project the official CØV group project? Young Scoop: It was fun for me to work on this project, I like the competition, but being in covenant, you do a verse one day and it’s gone the next.” – Scoop says jokingly. Be honest! What’s everyone’s favorite single on the album? Hazy: Definitely “Spooky Times,” I should have been on that, right after Scoop. I’m sure everyone is also wondering, when can we expect some new visuals from, Annuit Coeptis? Just in 3 days, the project received more than 3,000 streams via Spotify. What are y’all numbers looking like now as we officially hit one week? — Was this response more or less than what you were expecting? Last, but not least! What’s next for Covenant Government? What major moves can we expect from the group and its’ members in 2019? Be sure to stay connected with Covenant Government as we wait for new music to come. Follow the group via all major social media and music streaming platforms.